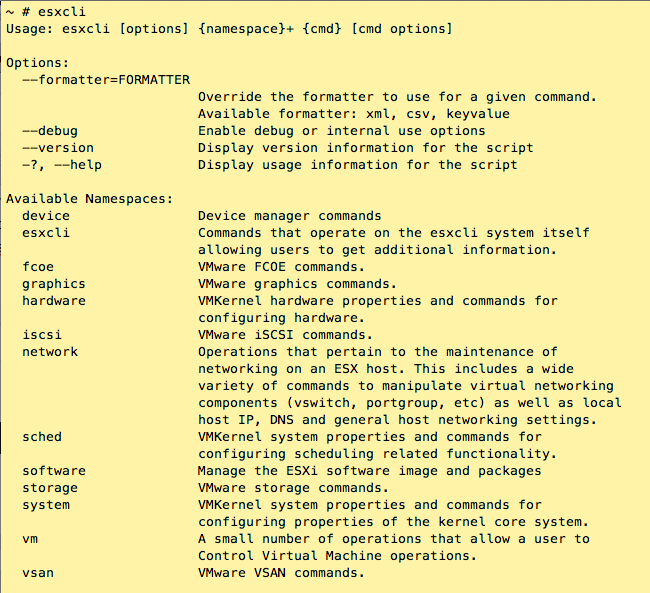 This is your 10,000 ft view of the updates to the vsphere 5.5 esxcli. I do plan to dive in and explore the new additions in more detail at a later date. This round I just want to provide a taste of what is new. For a second time in a row, and much to my delight :D, we see an emphasis on network! (esxcli 5.0 to 5.1 provided a similar treat). There are changes aligning with some of the new features introduced in vsphere 5.5. There’s also a significant namespace addition for VSAN. 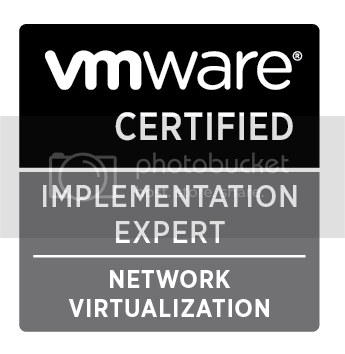 Duncan Epping provides a great introduction to VSAN here. Exciting times indeed. For those who aren’t satisfied with counts, here’s the full delta of 5.1 and 5.5 below. Enjoy!